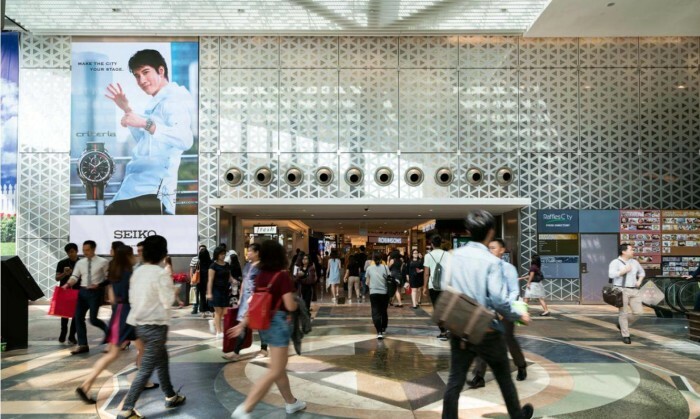 JCDecaux SA has signed an exclusive partnership with Raffles City Shopping Centre in Singapore, in a bid to expand its out-of-home (OOH) offering. Through this partnership, JCDecaux will have exclusive marketing rights for Raffles City’s brand new digital LED screen, called the Raffles City Digital Gateway. The new OOH offering sees Seiko Watches as the debut advertiser, and looks to provide advertisers with full assurance of a high quality display for both static and video advertisements. This is through the LED screen’s high resolution. Strategically located at the main entrance of the mall with direct connection to City Hall MRT station, the 24.3 sqm portrait digital LED screen is highly prominent to shoppers and diners around the area. This includes hotel guests at Fairmont, Swissotel and Raffles Hotel, as well as visitors to Raffles City Convention Centre and Esplanade Theatres among other attractions. “At JCDecaux, we endeavour to continually widen our advertising footprint, providing our clients with media solutions at choice locations. With over 250 retail and F&B outlets offering a diversified audience mix of families, PMEBs and business decision-makers, Raffles City Shopping Centre makes an excellent OOH platform,” Evlyn Yang, managing director, JCDecaux Singapore said. CNBC has announced its second regional, multi-platform sponsorship deal with Hitachi for the network's Managing Asia: Asia Builder..